Here are some “clear tannins”, tannins that give little color but play an important role. These 4 tannins impart little color and are used to aid in mordanting cotton along with Aluminum Acetate, they impart a wide range of grays with an iron after-bath and in conjunction with Titanium oxalate an array of oranges! So don’t overlook these quiet but important aids to your color palette! Working with the actual plant material is so much fun and always makes my studio smell great! Here are 4 plant dyes that produce different and beautiful lightfast yellows! 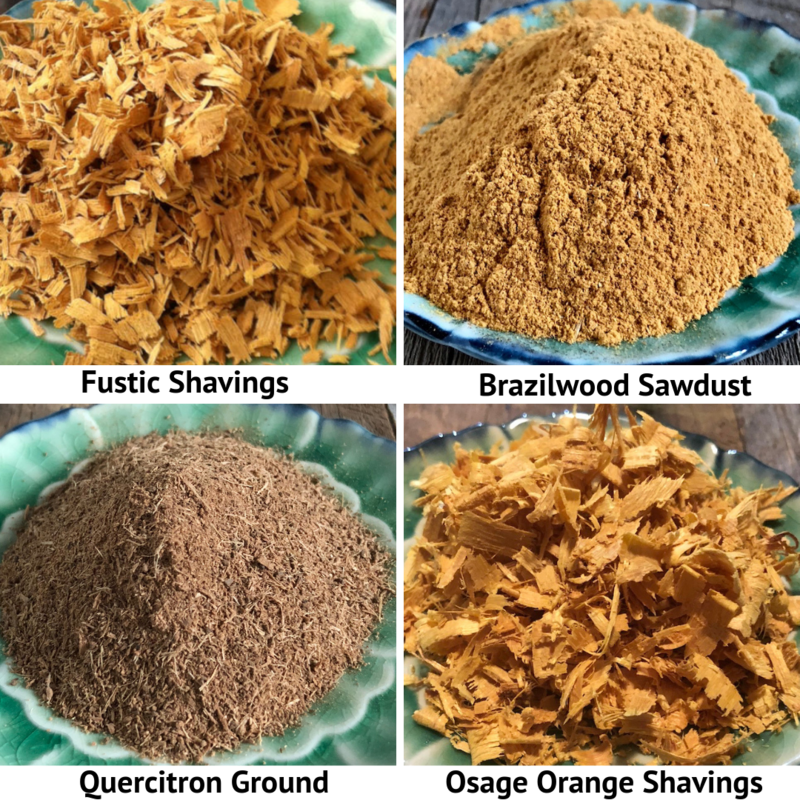 Here are four sustainably harvested woods that give a wide range of yellows and are lightfast and wash-fast. 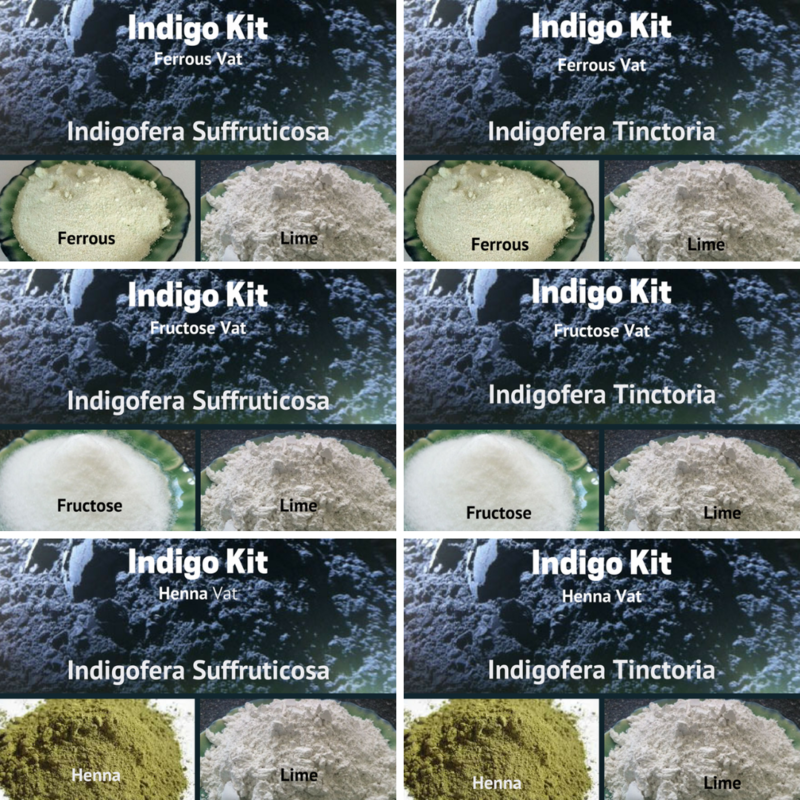 Over-dye with indigo for a wide range of greens. Here’s a look at roots, nuts and fruit that give color. Madder root gives oranges to reds to purples. Kamala is the soft powder on the outside of the fruit and gives golden yellow to tangerine. Over-dye with indigo for forest green. And finally walnut hulls are high in tannin and produce butternut to umber and dark brown with an iron after-bath. BUGS! The Cochineal insect lives on the Nopal Cactus. While they can be found in the wild, today most Cochineal is produced on farms in Mexico, Peru and the Canary Islands. The insect produces Carminic acid and the dye ranges from softest pinks to brilliant reds! 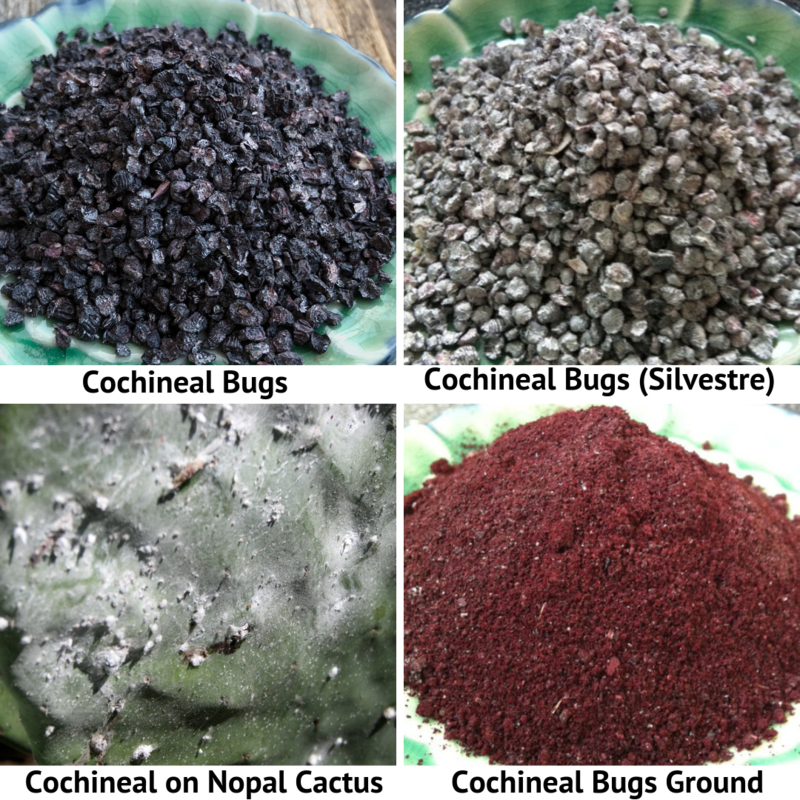 Cochineal colors more than fibers – it colors food and beauty products as well. 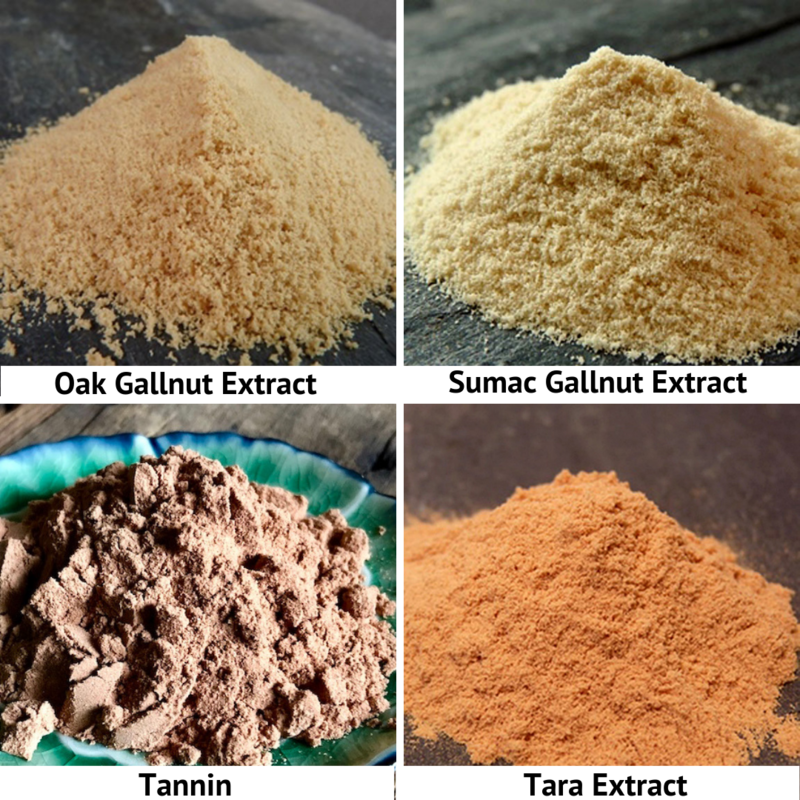 Tannin can be found in roots, wood, bark, leaves, galls and the skin of certain fruits. 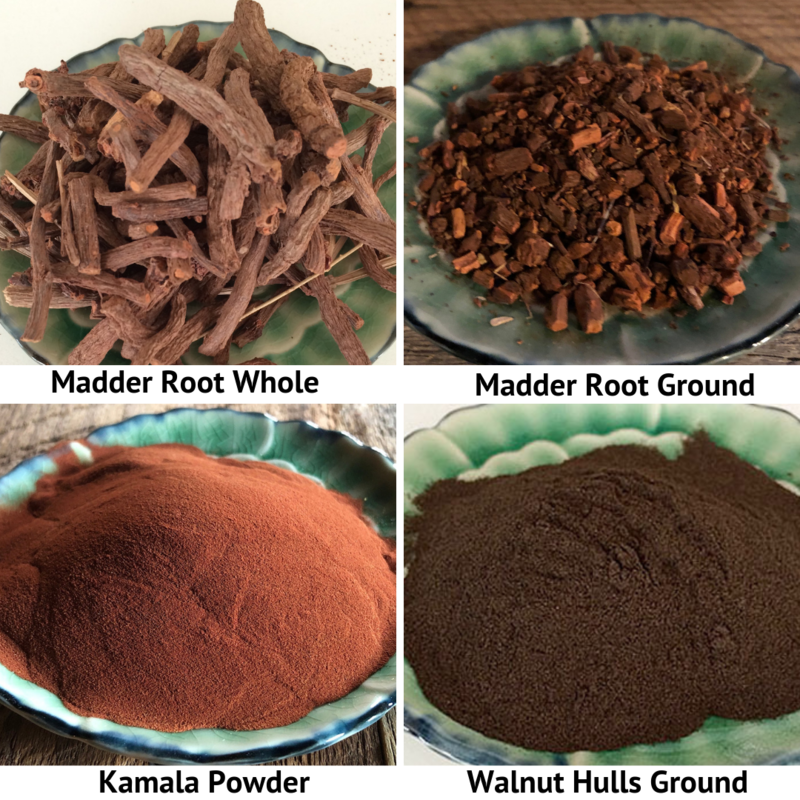 These four are in extract form, all with a high rate of tannin and produce color. Cutch produces caramel to coffee brown, Chestnut produces parchment to elephant grey – over-dye with indigo for mallard green. Myrobalan produces butter yellow to grey green – over-dye with indigo for teal. And finally we have Pomegranate which produces gold to khaki – dip in an iron after-bath for moss green. 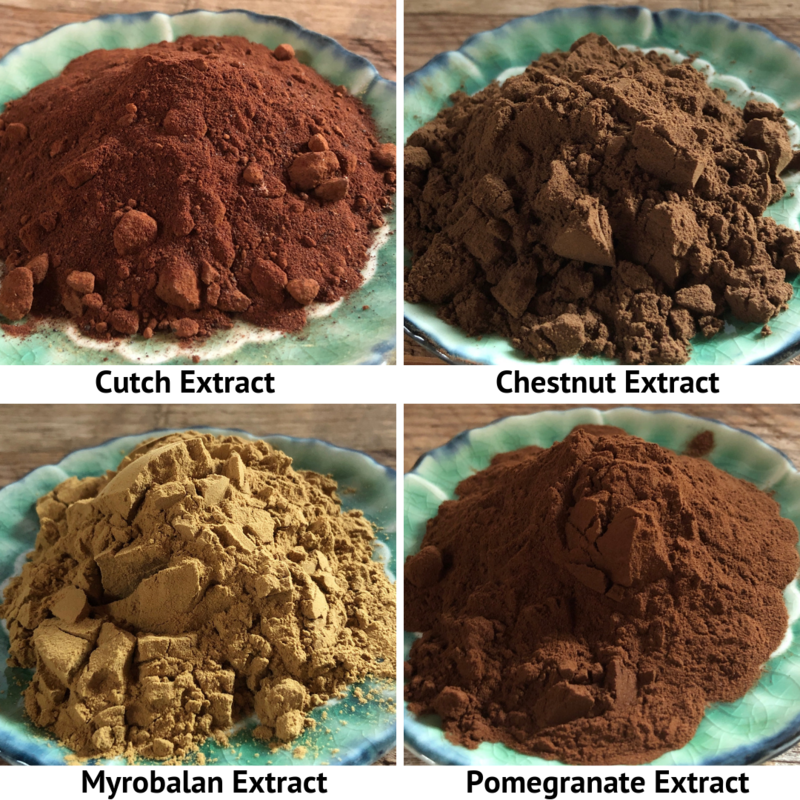 All four of these extracts have a high tannin content (30-60%) and produce color. Acacia (Wattle) produces ash rose to nutmeg. Persian Berries produces yellows and beautiful greens with an indigo over-dye. Quebracho wood is some of the hardest wood! Q-red produces peach to pink and Q-yellow produces yellow. 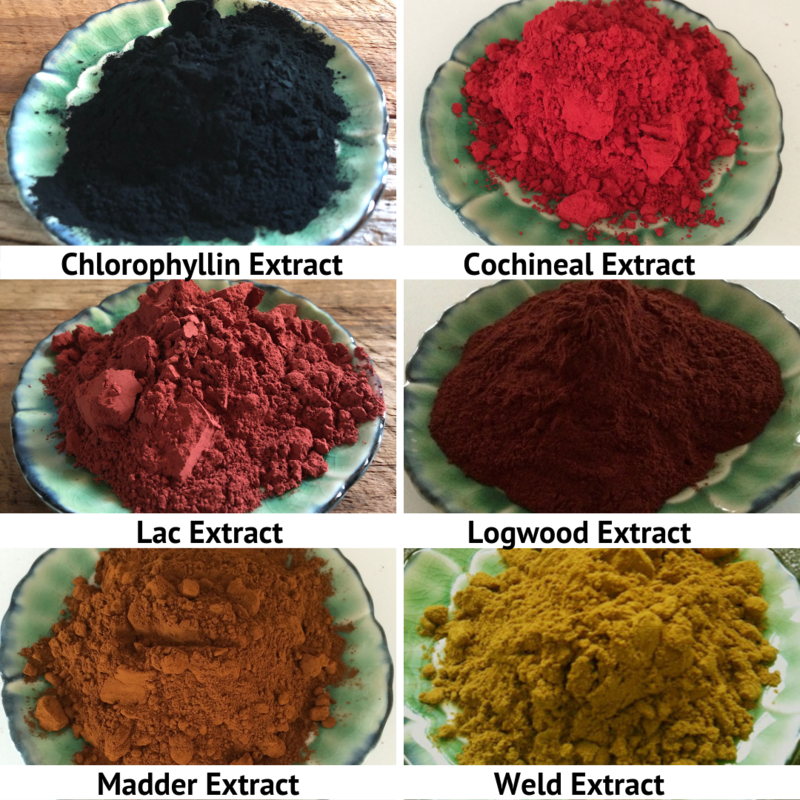 These 6 extracts are known for their color! 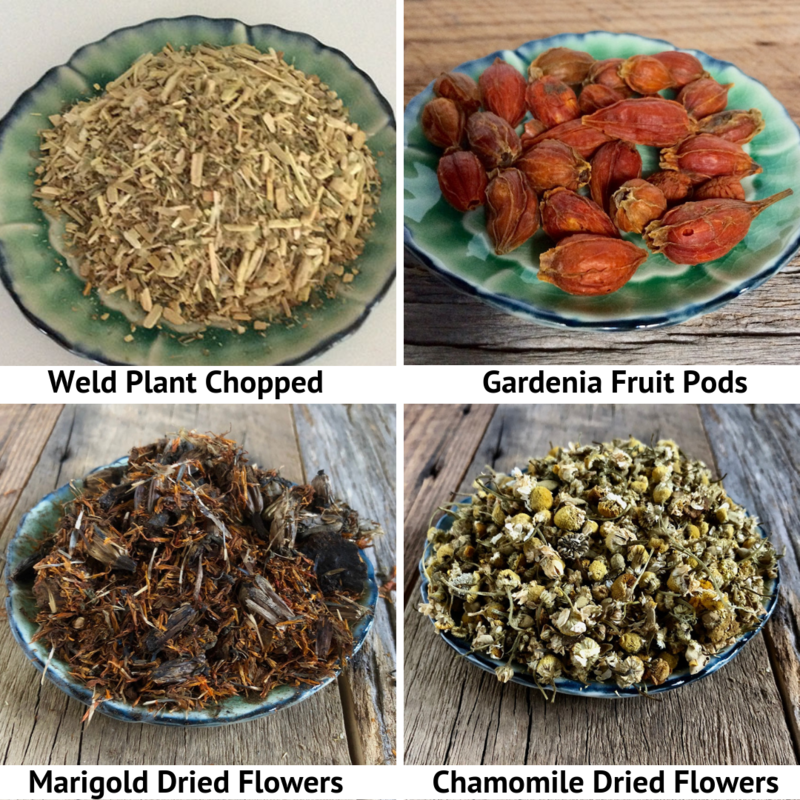 Why extracts? When you use the actual plant matter it takes 100-200% WOG. When using extracts the percentage is much, much lower (2-15%). 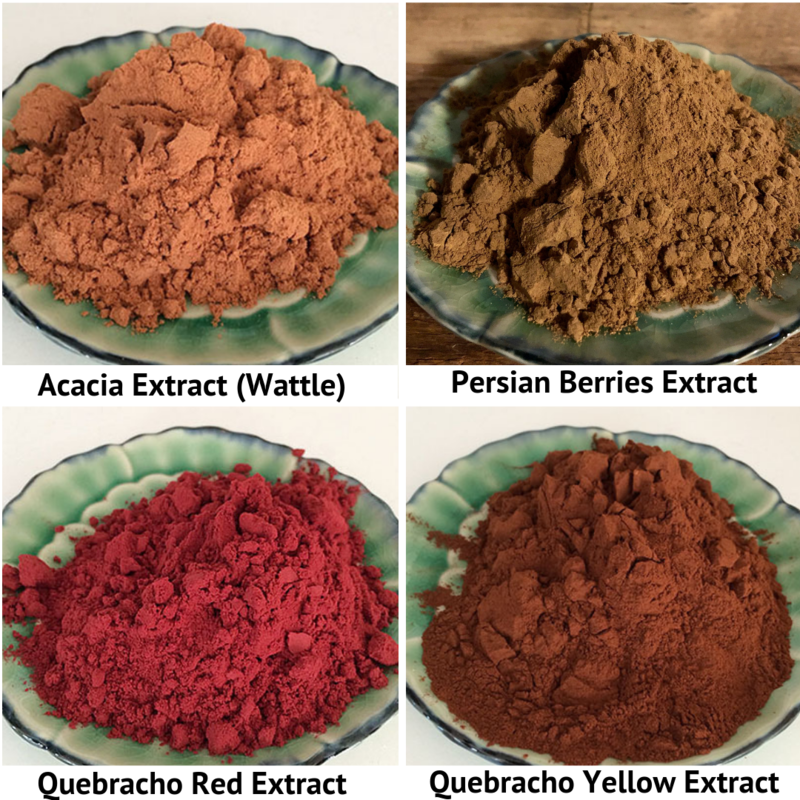 What I especially like about extracts is how easy it is to develop replicable color formulas (True Red – 15% madder extract + 2% Cochineal extract). Chlorophyllin produces apple green. Cochineal, the colors range from the softest pink to brilliant red. Lac – pink orchid to crimson to burgundy. 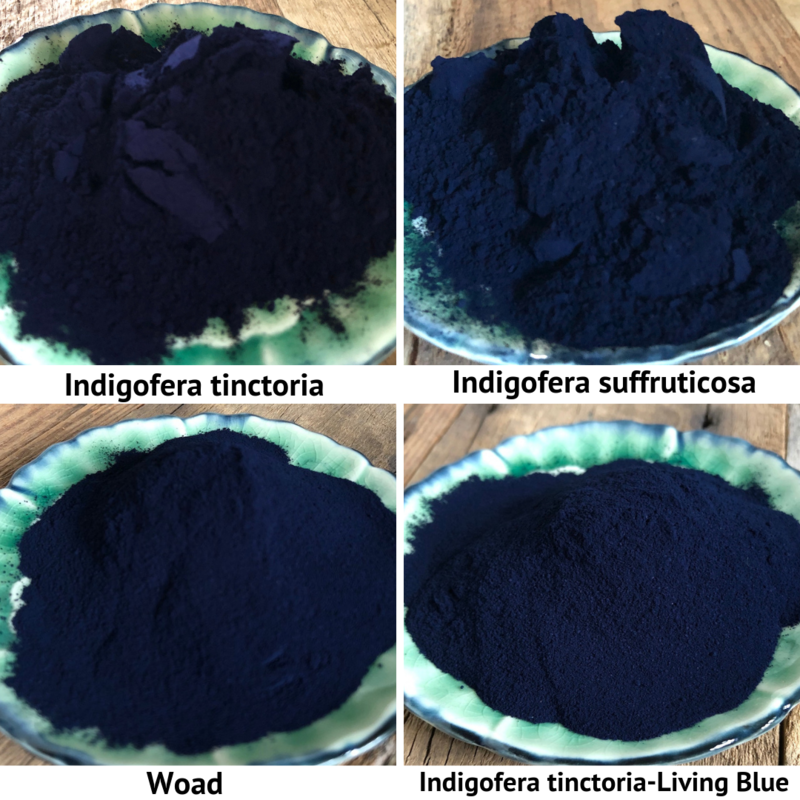 Logwood produces purple to blue to grey to black. Madder gives us orange to brick red to purple. And finally, we have Weld giving us the clearest yellow and amazing greens when over-dyed with indigo.